Lasers are now directed towards acne. While lasers have been effectively used in treating acne scars, treating acne with lasers is relatively new. If you are encouraged by the results of research conducted on the effectiveness of acne laser treatment, you may as well consider various factors before making your decision. If the level of acne were mild to moderate, the best thing to do would be to opt for conventional treatment. When acne is addressed immediately with adequate changes in diet and avoiding triggers, the risk of acne developing further is reduced without the need for laser treatment. 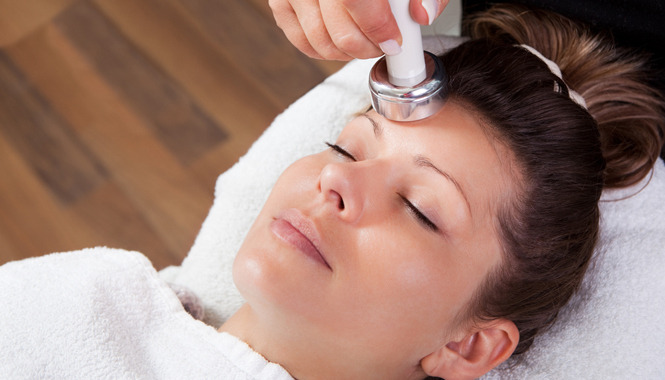 While the results are promising, laser treatment for acne is still new. The results are based on the treatment done on a rather small population when compared to the conventional treatment on a vast section of the society. The results of the recent research do not claim that laser could be a better alternate to conventional treatment. You need to accept that it is an alternate option and not a better treatment, until proved so. Other than acne that is milder, laser treatment could necessitate more sessions. Hence, if you are considering laser with a hope that the process would not consume much of your time, you could not be more wrong. While the statistics are encouraging, there are cases where the results have been only temporary. Once treated using laser, conventional treatment has to be continued to ensure that there is not a relapse. Unlike conventional treatment, laser treatment could cause side effects in some. There have been reports on the side effects of laser treatment for acne and the side effects could include pain, swelling and redness. You need to attach adequate consideration to this, as laser treatment is expensive. Moreover, this is not going to be a one-time affair, as you may need to go for laser for at least four sessions spanning a period of four weeks. Moreover, insurance does not cover laser treatment for acne and hence it will be entirely on you. Once you make up your mind on laser treatment, you need to have a plan defined to ensure that acne does not recur. Here are some suggestions to help you with. Certain foods trigger acne. Hence, you need to have a diet that ensures good health and flawless skin. Increase your intake of fruits and vegetables if you have been poor on this and avoid processed foods. Ensure that you give yourself necessary proteins, vitamins and nutrients to enhance your health and address hormonal imbalances. Be very careful while selecting cosmetics. Using a lot on your face may affect your skin. The oils in certain cosmetic products could cause breakouts. You could seek professional guidance to make a perfect choice. Acne is irritating and when it is obvious, it is frustrating as well. It is quite natural for you to seek the method that you are sure will address the problem. However, the fact in front of us is that laser treatment has been good but has not been declared the best possible treatment for acne, not yet, at least. Your psychological concerns are understandable. However, you need to take some time to look out of it and decide if acne laser treatment is the best thing that could happen to you. Consult your doctor, study your physical and financial condition and take into account other promising treatment processes before you make your decision.